Thanksgiving Day is a federal holiday. Officially, the day commemorates a celebration hosted by the Pilgrims to give thanks for surviving their first year in the new world. In 1620, the Pilgrims landed at Plymouth Rock and endured a year that was filled with many hardships. A large number of the original settlers died from disease and starvation. After being aided by members of the local Wampanoag tribe, the settlers were able to enjoy a bountiful harvest and they celebrated by inviting the natives to a harvest feast. Although it was customary to have thanksgiving celebrations for various events, there was no official holiday until much later. President George Washington called for a day of thanksgiving after the end of the Revolutionary War, and it was up to each successive president to proclaim a day of giving thanks if he felt one was needed. After the Union victory at Gettysburg, many Americans called for a public holiday that would unify the nation. President Abraham Lincoln proclaimed that the last Thursday in November would be officially known as Thanksgiving Day. Although the holiday was not initially popular in the south, many Americans began to celebrate the day by attending church and gathering together with loved ones. For many years, Americans continued to observe Thanksgiving on the last Thursday in November. Because the day after Thanksgiving marked the beginning of the Christmas shopping season, President Franklin Delano Roosevelt tried to move the holiday up in order to encourage higher retail sales. 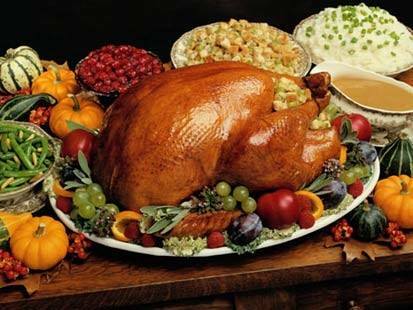 At the end of 1941, Congress officially changed the date of Thanksgiving to the fourth Thursday in November. Because Thanksgiving is a federal holiday, it is observed by all levels of government, schools, public offices and most businesses. Families gather together for a turkey dinner and assorted side dishes. Although many people also have Friday off, retail stores are open and it is one of the busiest shopping days of the entire year.